What size pump will I need? In selecting a pump you have one simple goal in mind, to move the proper amount of water for the least amount of money. To select a pump you first need to estimate how much water you need to move. 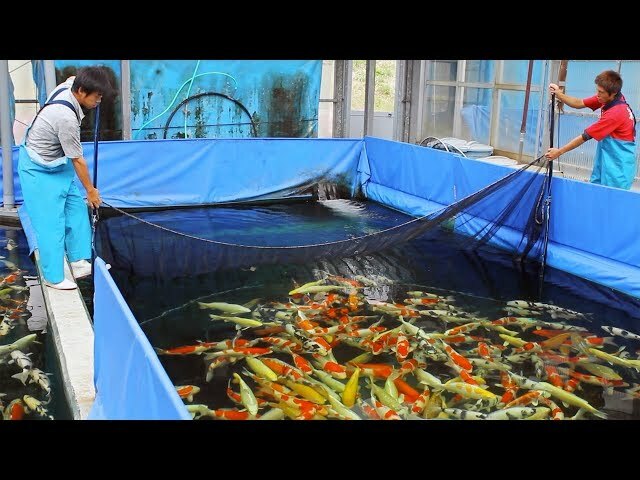 On large ponds you need to send all your pond water through the filter at least once every 3 hours. On smaller ponds it is easy to filter all the water in a much shorter time. Take the total volume of water in the pond and divide it by how often you want all the water to go through the filter. This will give you the minimum water flow you will need from your pump. Next, you will need to consider how much head pressure your system will generate. You can do this by considering how much pressure at that minimum water flow will be created by your filter, the jets, the height of the waterfall and the plumbing. Example: If you decide you need 60 gallons per minute flowing through your filter and your system creates 14 feet of head pressure at 60 gpm, you will need a pump that will deliver 60 gpm at 14 feet of head. When you look for a pump, examine the performance flow chart for one that will give you between 60 and 70 gallons per minute at 14 feet of head. A pump that is advertised to give 60 gpm at 4 feet of head may only produce 20 gpm at 14 feet of head, so get the facts before you purchase a pump. 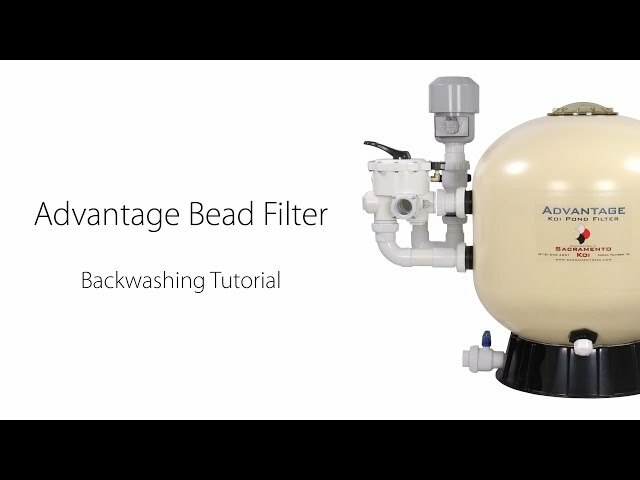 The Advantage Plug & Play Filter Systems have been factory tested to take the guess work out of planning your filter system’s water flow. Is it important that the pump be quiet? 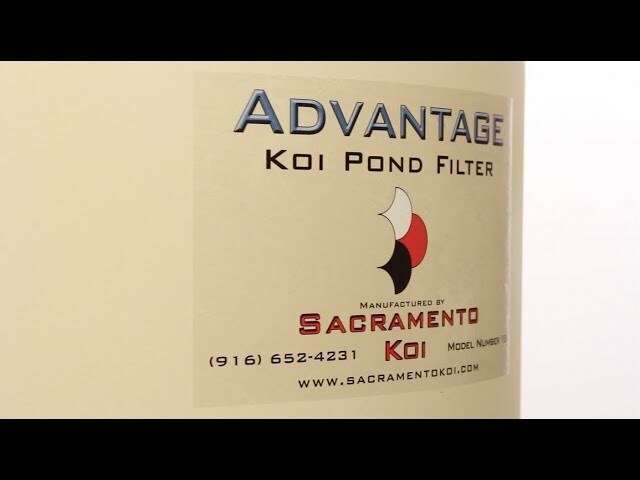 Make sure you purchase an efficient pump built for koi ponds. Your pump will be running 24 hours a day. 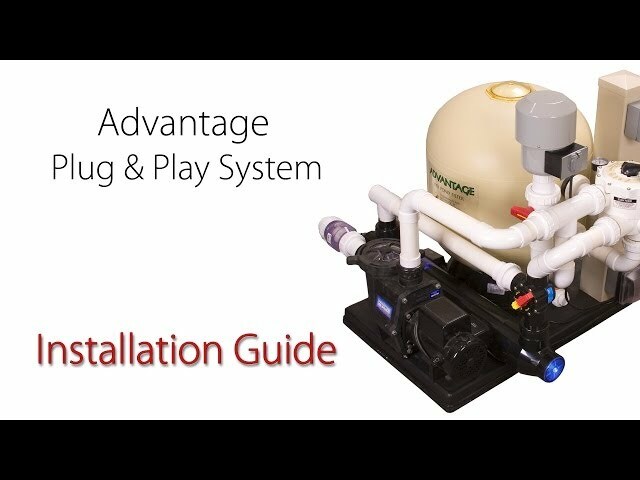 Most pool pumps are not designed to run 24 hours a day and installing one on a koi pond will void your warranty in some cases. 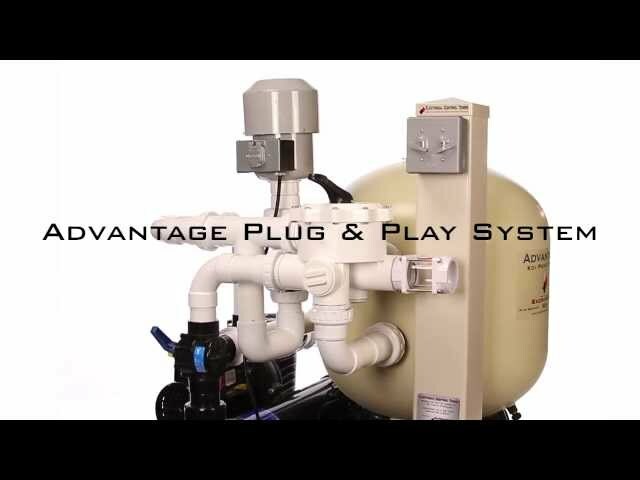 An inefficient pool type pump can cost you an extra $100.00 a month in electricity.